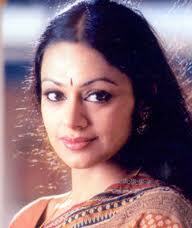 This page has Pictures, Images and Profiles of famous Shobana Chandrakumar. 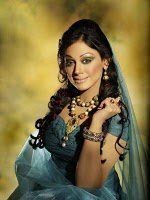 To see more Actresses like Shobana Chandrakumar click here : Aishwarya, suraiya, ranjani, karishma kapoor, ileana, simran, bhavana, kavya madhavan, madhuri, gopika, navya nair, padmapriya, meera jasmin shakeela, nayanthara, karthika. Shobana was born in Trivandrum, Kerala, India, to father Shri Chandrakumar, and mother Dr Anandam Chandrakumar. Shobana is the niece of the famous Travancore sisters, Lalitha, Padmini and Ragini, all of whom were renowned for their skill in Indian classical dance. 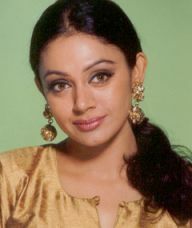 The veteran actress Ms Sukumari is an aunt from Shobana's paternal side. Famous actor and renowned dancer Vineeth is also related to her. True to the family lineage, Shobana also did her dance training, which took place at the Chidambaram Academy in Chennai, Tamil Nadu. Her guru in dance was the legendary Chitra Visweswaran as well as Dr Padma Subramaniam. Shobana is now an extremely accomplished dancer in bharatanatyam, and is famed for her Abhinaya ( the word has now come to mean 'expression' but it literally means 'Abhi'=lead and 'nii' = towards, therefore leaning the audience towards a sentiment). Sobhana was introduced into films by Hema Malinis mother when Jaya Chackravarthy when Shobana was with her dancer-actress aunt Padmini. She started acting at the tender age of 13 and has appeared in over 200 films across malayalam, tamil, telegu and hindi languages. She is the recipient of two national awards. One of her most haunting roles was that of the character Ganga, in the high grossing film Manichitrathazha, 1994 directed by Fazil. It was a psychological thriller, and had the audiences gripped by the incredible performance Shobana gave of a woman possessed. After its runaway success in Kerala, it was remade almost 10 years later into various languages, where they all went onto become commercial successes. Shobana is now runs a dance school Kalarpana in Chennai, and takes great pride in innovative concepts and choreography. Mostly Kalarpana accepts and seeks out young talented artistes from financially insecure backgrounds to teach dance to. Under its umbrella Kalarpana also extends it hand to the disabled communities as well as to environmental causes. 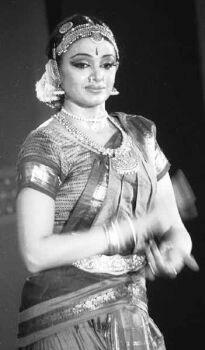 Shobana founded Kalarpana with the objective of commiting herself to the propagation of the classical arts. The aim of Kalarpana is to organize annual festivals throughout India. She is still mildly active in filmography, with one of her recent release being Sagar Alias Jacky Reloaded.